What do you think about my surgery? 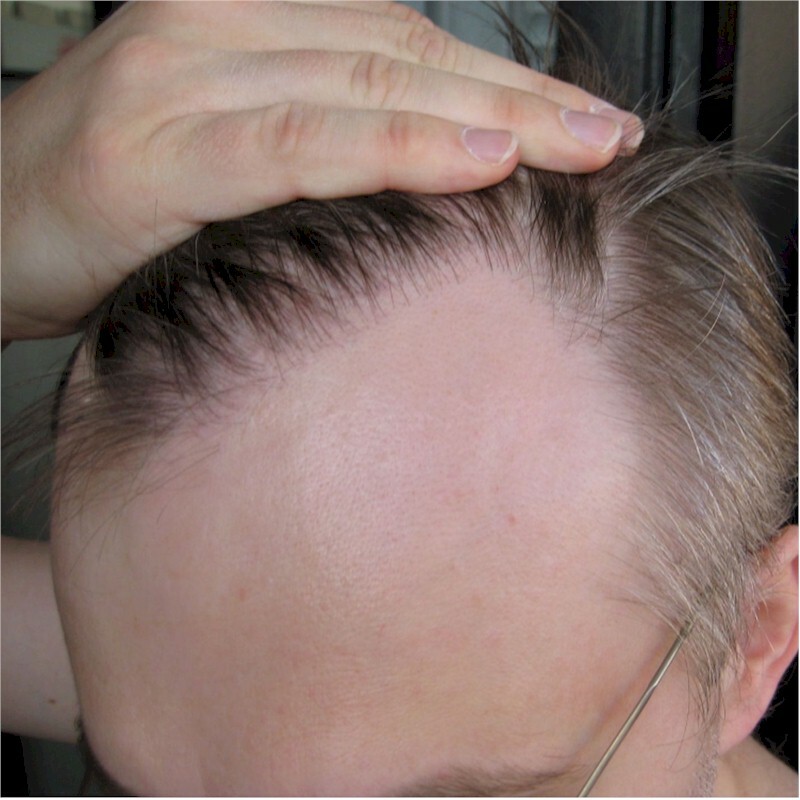 I would like to ask you what you think about the result from my hair transplant. In 2004 I had an operation with an very well known doctor and I`m not satisfied with the outcome. 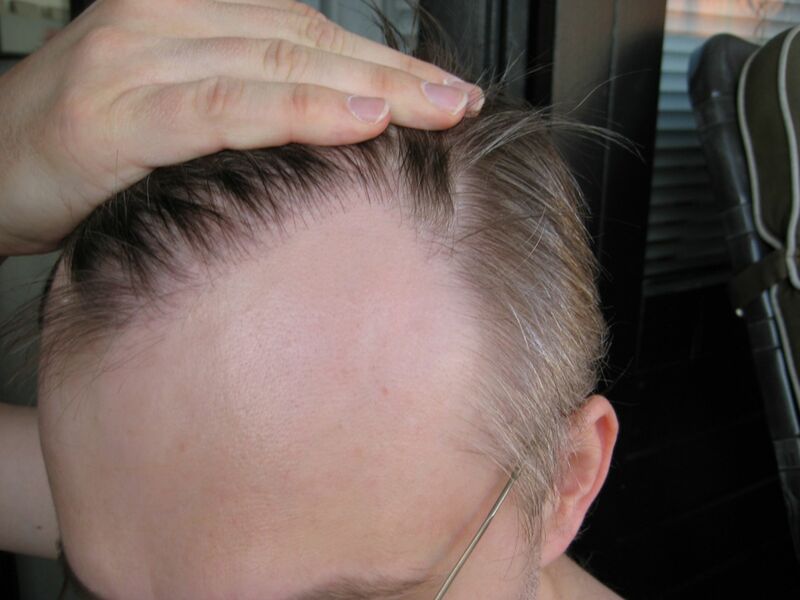 This surgery was number 6 and before I had 5 operations with other doctors (all 6 operations with strip).In amount (all 6 operations) 4500 grafts and operation number 6 was 1900 grafts.My disappointment most about the hairline which was lowered by 1 cm and the density behind which is approximately 35-40 grafts per sqcm. What do you think about that result?I have to add that I made an complaint after one year but they showed no willingness to give me an free correction. It looks a little thin. But I think it looks natural. If you had more hair in the hairline, it would have gotten “the wall of hair” appearance. Maybe some more singles in the hairline would improve it even more. I think to many doc’s make thick hairlines with alot less hair behind, which makes it look unatural. it’s thin; however, it looks natural. » satisfied with the outcome. 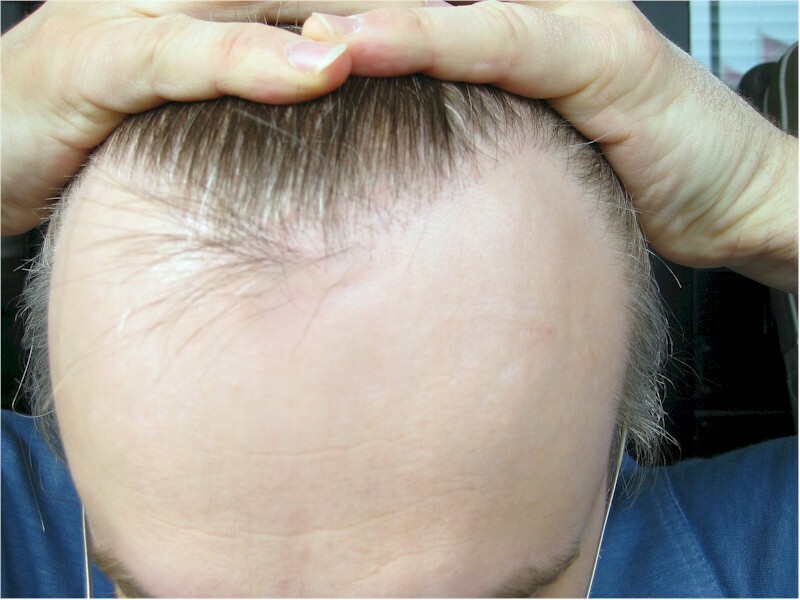 » approximately 35-40 grafts per sqcm. » Thanks for your comments! It would help if you made your pics smaller so you can see the whole pic without having to move it over. Looks very natural. Hard to judge the last docs work without before his procedure and after his procedure photos. 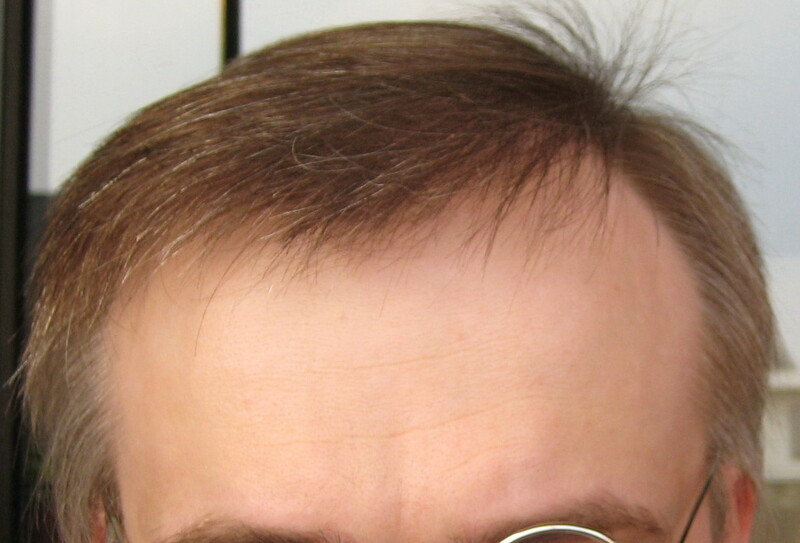 Also you have to make a judgment based on what stage of hairloss you were at. Although thin, its hard for my eyes to tell youve had work done, which is a good thing. But Id like to see smaller sizes and before and afters for a better opinion. » » satisfied with the outcome. 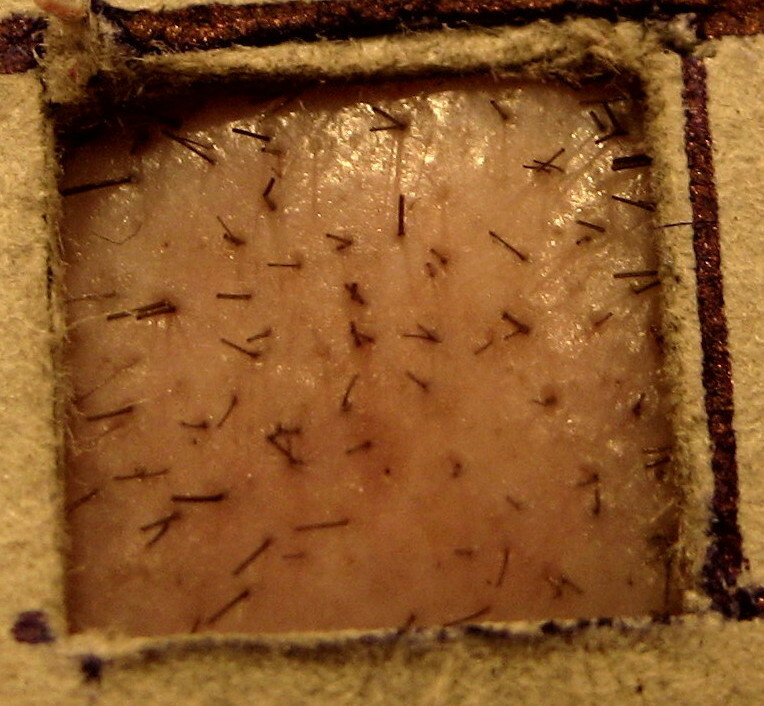 » » approximately 35-40 grafts per sqcm. Also good to see a pick with how you wear your hair normally, rather than just pulled back. I really feel for you, having had so many procedures and being strip too. I wish you well and hope you reach the look you want. » » Thanks for your comments! » without having to move it over. Looks very natural. » before and afters for a better opinion. Its hard to comment on the work unless you post some before pictures. Just going by these pictures, the ht looks thin but not horrible. What clinic did your 6 surgeries? What are all those little black dots in the last pic? » What are all those little black dots in the last pic? » » What are all those little black dots in the last pic? So what dimension is the square? 1cm I assume. Is that a cm grid or an inch grid in the picture? Wow it took 6 operations to get 4500 grafts~! most doctors can do that in 1 shot. » Correct.This is 1 sqcm. Sorry, I just can’t see the hair line as natural looking. When was your first surgery? i can only imagine how you feel. » first surgery? i can only imagine how you feel. I think the hairline looks tolerable in the eyes of those who are uninformed about HTs. But not natural.